Sony's PlayStation 4 System Software Update 4.50 is now available and allows gamers to utilise external hard drives for the first time. Up till now the only way to increase a PS4 or PS4 Pro's storage was to install an upgraded, larger capacity hard drive. However, now with the 4.50 PS4 System Software Update, gamers can install or move content from their internal drive to any external drive. "With this update, you have the option to store content to an external HDD. Just plug a USB 3.0 HDD into your PS4, and voilà, you now have more space on the console. This is compatible with HDDs up to 8TB in size. You can download and install applications directly to your extra storage, and the saved contents are easily manageable through the settings menu.Also, all the applications saved in the external HDD will appear in the Content Launcher of the Home Screen so it’s easy to keep track of what apps you launched recently." Also, System Software Update 4.50 allows PS4 Pro gamers to turn on "Boost Mode", which is a PlayStation 4 Pro exclusive feature that allows gamers to improve performance in legacy titles released before the introduction of Sony's pixel-pushing powerhouse. The improvements, which take the form of higher frame rates or greater frame rate stability, are possible thanks to the PS4 Pro's faster CPU and double-sized GPU. Boost Mode can be turned on and off in the system settings menu. In addition to PS4 System Software Update 4.50 delivering external HDD support, Sony also confirmed it introduces custom wallpapers on PlayStation 4 systems for the first time. Now users will be able to set their favourite in-game screenshot as the background image of the home screen. 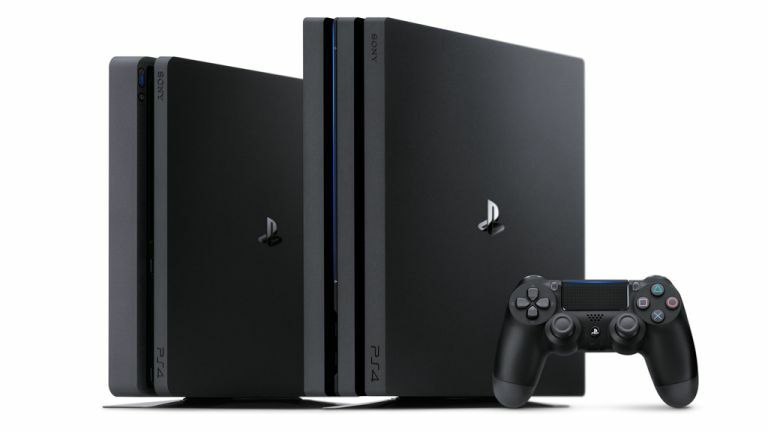 Lastly, Sony confirmed that in System Software Update 4.50 it had also tweaked the PS4's Quick Menu so that it was more compact, added 3D Blu-ray on PlayStation VR support, as well as simplified the Notifications menu, condensing all the tabs into a single streamlined list, making it easier to see all the notifications at one glance. For more information about the upcoming PS4 System Software Update 4.50 then head on over to the announcement now.